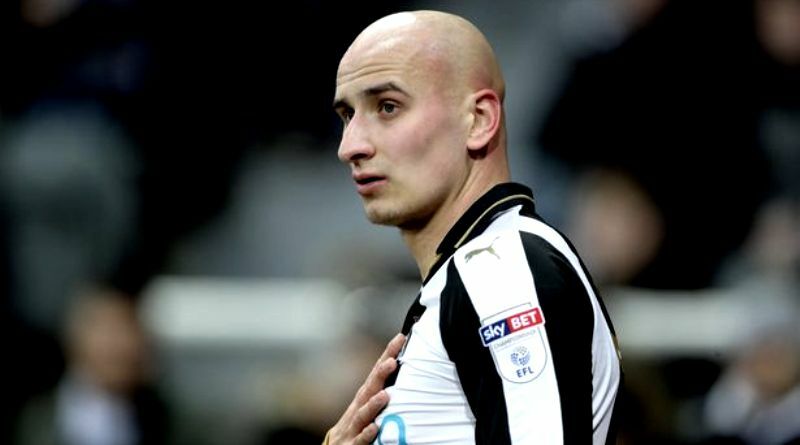 According to the football transfer rumours in British media, West Ham are targeting Newcastle midfielder Jonjo Shelvey. The England international was signed by Newcastle in January 2016 from Swansea City for a fee of 16 million euros. The 25-year-old has a contract until 2021 with the club. Jonjo Shelvey has played 76 times for Newcastle since signing from Swansea, scoring five goals and creating 15 assists in that time. Shelvey has represented England at Under-16, Under-17, Under-19 and Under-21 level, winning 30 caps and scoring eight goals, before making his senior international debut in October 2012. As a member of England national football team, Jonjo Shelvey won six caps. The England international is out of the picture at Newcastle, which has opened the door for a potential exit. The report details that David Moyes feels his midfield currently lacks some bite and that he could strengthen when the transfer window re-opens. Moyes is a long term admirer of Shelvey and believes he can get the most out of the England international. According to the report, Moyes believes Shelvey’s passing and aggression could be crucial in the second half of the season. Shelvey has been dropped and sent off twice this season and is no longer a guaranteed starter under Rafa Benitez. Newcastle boss Benitez may therefore be tempted to sell Shelvey if it means being able to shake-up his squad with a potential takeover still not guaranteed to be completed in time for January. Newcastle value the midfielder at 16 million euros. A move away from Newcastle will not be only the best move for Shelvey, but also for the club.